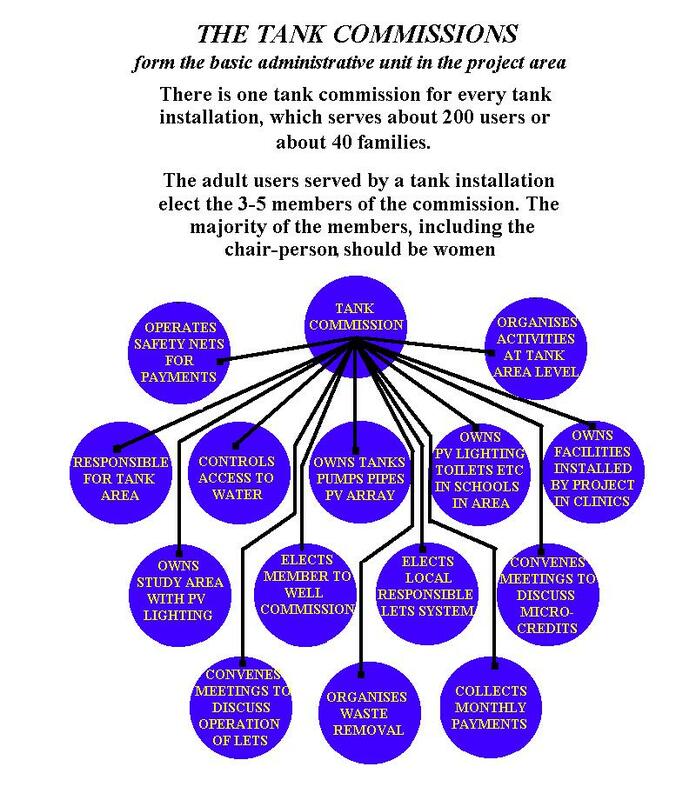 05.31 Water supply structures : general information. 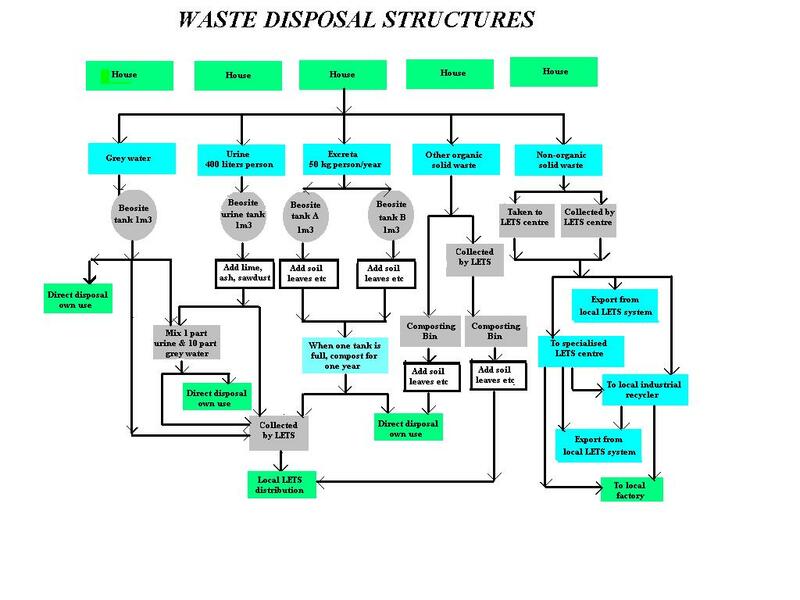 Present drinking water structures in the project area. This project will be decentralised. 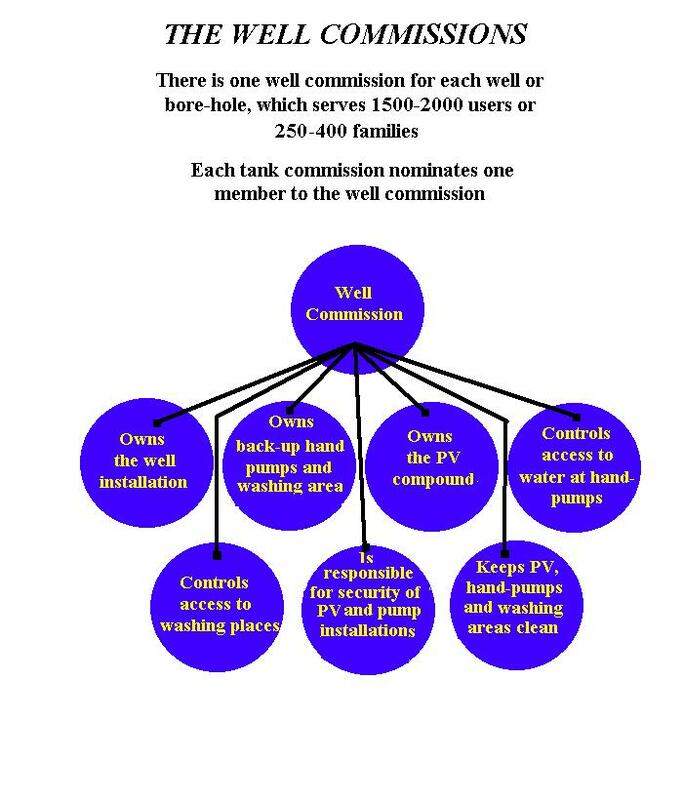 About (number) large diameter wells and (number) large diameter boreholes will be dug using local labour, construction methods and materials supplied under the local LETS systems. About 6-9 solar submersible horizontal axis piston pumps or equivalent technology will be installed in each well. Each of the pumps will supply water to a dedicated water tank serving a local community. The well is the hub of the supply system. The water pipelines radiating from it are its spokes. Each well will be equipped with back-up hand-pumps (see Schedule 5 for a complete description of the hand-pumps).The hand-pumps will provide water during unusually long periods of bad weather. 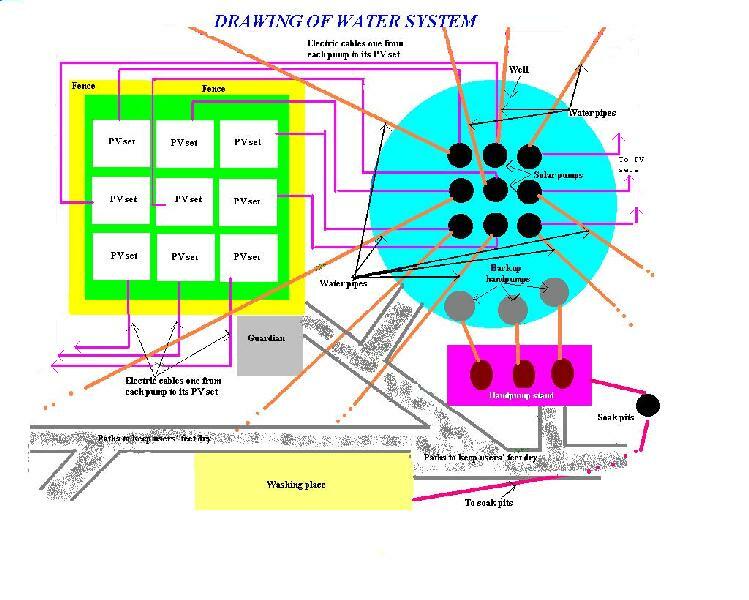 05.31 Structures for the drinking water distribution system. Usually just one Moraisian workshop will be held in a given project area. 06.00 Phases of project execution. 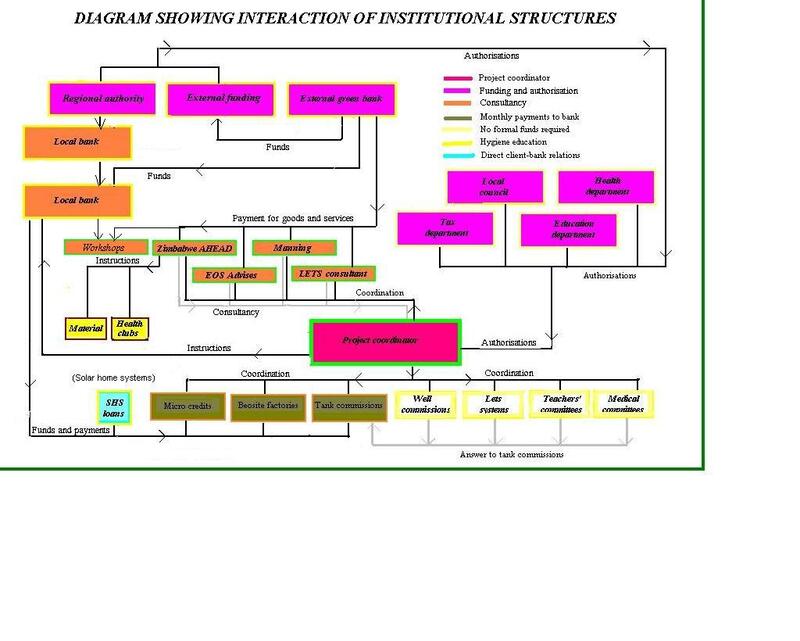 The distributed drinking water supply structures are the structures which need the largest formal money capital investments. They will defined by the people themselves during a capacitation workshop following the formation of most of the other structures planned. The following general indications are therefore subject to changes, some of them important, from one project application to another. The following information should, however, give a fair idea of the size and nature of project applications. Back-up hand pumps : 96 being 32 triple sets. 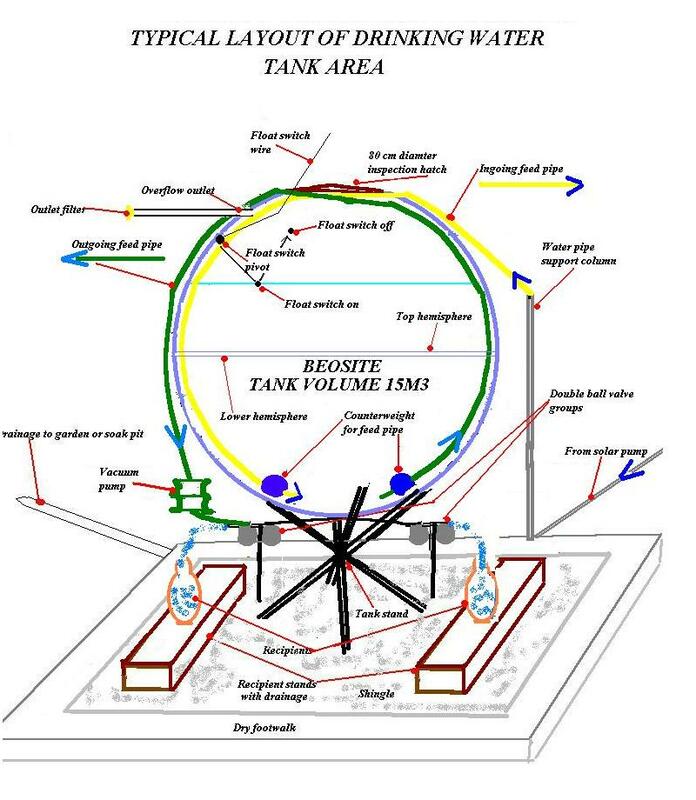 Pipelines from boreholes to water tanks (estimation) : 200000m. Main index of the Model.